It seems UMiDIGI is set to upgrade the UMiDIGI One with a Max version. According to the leaked image today, UMiDIGI One Max, as it is called, will reportedly host a larger 6.3-inch Water-dropping display notch up front. According to the leak poster, the UMiDIGI One Max be designed almost similar to the UMiDIGI Z2-series, aside the display of course. The device will be fuelled by a 4150mAh battery, and will have a large 128GB internal storage. 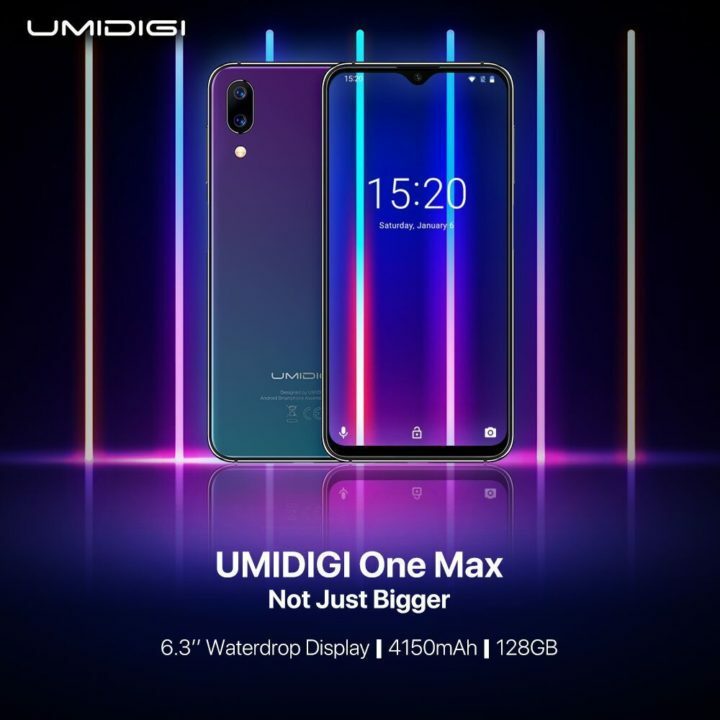 The price and other specifications of the UMiDIGI One Max is still not known yet. But considering the fact that this device is going to be the first smartphone from UMiDIGI to have water drop display, it is expedient to come with flagship specs and features. As seen in the poster above, the UMiDIGI One Max, like many other UMiDIGI smartphones, will host a dual rear-mounted camera sensors along with dual-LED flash. But the model and pixel counts of the camera sensors are not known yet. But if the above poster is to be relied on, it means UMiDIGI can announce the One Max anytime soon, and when that is done, we’ll update you about it specifications, price and features, so stay tune.